Hi, I'm Nick Quinlan. I live in Seattle, WA and work at as Senior Partner at Major League Hacking. Previously, I was a SendGrid Developer Evangelist. I've been using (or more like been glued to) computers since the age of three, just ask my parents. 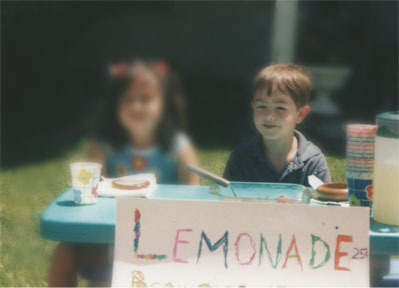 At age five, I may have had one of the most well planned and marketed lemonade stands a five year old has ever had. Since then, I've been using my love of technology, business, and lemonade to lead communities and technical organizations. Here's what I'm up to and where I've been. Major League Hacking's mission is to empower hackers. Together with an amazing team and community of over 100,000 hackers, we create amazing experiences that introduce students to technology and help them throughout their career. I act as Senior Partner, managing the operations of the business. As a Developer Evangelist at SendGrid, on one of the best regarded developer relations teams in the industry, I promoted SendGrid's developer focused product by building our community, writing technical documentation, developing sample applications, and helping to maintain client libraries. Inside the company I helped to bring product feedback to the relevant teams, focus product development, assist in supporting our users and help our enterprise team sell the product to customers. At Ethoseo I worked as a web programmer, developing technical solutions to marketing problems, helping SMBs and agencies create and implement successful inbound marketing strategy.